Wondering how to kick-start your business and turn it into a successful venture? If yes, then you are certainly at the right place because we have a number of useful tips for you to plan and develop your company website. Online business enterprises are very productive since they are absolutely cost-effective in terms of promotion and sale of your products. They provide you better opportunity to interpret buyer’s need and to address their problems which should primarily be your first step. Instead of looking for a market to sell your services or simply brag about your product, try to recognize the real problems faced by customers and convince them that your product can solve their issues. There are several ways to find out what people are searching for by joining relevant communities, surfing through internet for popular keywords and scrutinizing what your rival company has to offer. 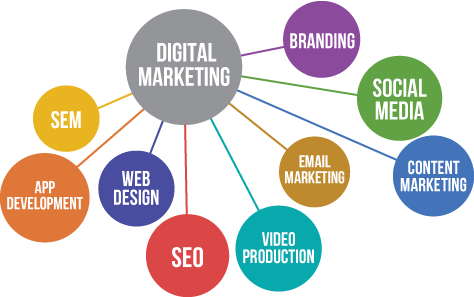 Additionally, based on above research design and create your website that represents your business and boost your commercial interests. Your web portal should be able to draw more visitors and hold their interest in finding out more. There should be vivid use of graphic, texts and videos to make your site visually appealing. Make it user-friendly by maintaining simple and easy navigation and include opt-in offer to collect email addresses for future correspondence. If you aren’t sure about how to create your own website, you can always enlist help from professionals. There are several web designing companies ready to provide you with such technical expertise. How do you optimize your business online? Website creation also involves meticulous Content Management because it should be able to explain customers every detail related to products in clear and concise manner. Apart from this it should also guide clients through the selling procedures. To make your content interesting add a catchy title, talk about indispensability of your product and offer irresistible deals. But the formula to a successful online commercial endeavour is how effectively you can manoeuvre traffic in the direction of your website. If your site is brand new then Pay-per-click advertising is the quickest way to generate traffic since PPC ads show up on the search pages immediately and allow you to test different keywords, prices and trade tactics. Smart optimization of search engines and social media also helps in widening client base. The role of social media sites in promoting business is beyond question. Proper usage and communication on social platforms can yield unmatched popularity and monetary gains. With that said, build your traffics and leads with the proper online marketing strategy. Optimize your online positioning . If you are interested to our service or you want to know more about how we can help you , feel free to leave your detail here. Online brand reputation management is all about monitoring on your personal branding or corporate branding within internet. We do help optimize your online positioning result. We guarantee that our business is professional, ethical and loyalty. If client hire us, we will only help our client in their industry. No matter how much their competitor pay us back for counter attack, we will only work for the first client. However, it will never happen because our work is highly confidential and no one will know who we work for and the project we are doing. Our mission is always to produce online marketing solutions to help business organisations reach a realistic return on investment using results orientation by following our best known method. © 2019 Internet Branding and Reputation Malaysia - SEO Marketing Specialist. All Rights Reserved.